This Ruby-throated Hummingbird photographed at my feeder last September is probably a first-year male, based on his "five o'clock shadow." Every September, I get inundated with questions about when we should take down hummingbird feeders. The vast majority of Ruby-throated Hummingbirds light out for the territory in August, and most of us in northern states notice our last ones on or before Labor Day. If you’re putting out hummingbird feeders for your own enjoyment of these tiny dynamos, take in your feeders when you stop seeing them. But unless you’re watching your feeder every minute of every daylight hour, you are almost certainly getting occasional visits from hummingbirds migrating through. Keeping feeders available can give these last ones, mostly young of the year, a quick supply of calories. A hummingbird feeder provides far more carbs per visit than individual flowers do, so a feeder allows migrants to spend more time traveling and less searching for food. If you keep feeders up in fall, keep the sugar water fresh. It’s easy to forget to change the water every few days, but essential if you want to do more good than harm. Even before sugar water gets cloudy, it’s fermenting, which can cause liver damage. Fermentation goes faster in warmer temperatures, so we can change the water less frequently during cool fall weather than in summer heat, but need to keep the task on our radar. In spring and summer, several feeders can accommodate these aggressively territorial birds with a minimum of squabbles. Because so few hummingbirds are present this late, it is less expensive and far easier to maintain just one or two feeders. It’s also wise to set fall feeders in the windows you spend the most time near. The likelihood of seeing any hummingbird in late fall is small, but you have a reasonable chance of seeing a real rarity. I’m only aware of four or five hummingbirds visiting my feeders over the years after September 15, but one of them was a rare visitor from the West who turned up on November 16, 2004 and remained until December 3. Her identity was under some dispute—she was most likely a Rufous Hummingbird, but without collecting a feather for DNA it was impossible to be certain. If a qualified hummingbird bander had been available to trap her in a standard hummingbird trap, I’d have been fine with taking measurements and macro photographs of her. Unfortunately, the only banders available used mist nets, which are very stressful and dangerous for hummingbirds even when the banders specialize in handling them. To verify her species, they wanted to remove one tail feather, but birds immediately shunt resources to replacing plucked feathers, and that time of year when a minimum of protein was available, I just couldn’t justify putting her through any of that. So although I have plenty of photos of her and think of her as a Rufous Hummingbird, she’s listed as “Selasphorus sp.” in the Minnesota Ornithologists’ Union record books. Wisconsin and Minnesota have both had amazing visits by out-of-range hummingbirds in fall, including such shocking species as a Green Violetear visiting a La Crosse feeder one October, an Anna’s Hummingbird in Grand Marais one November, and a Calliope Hummingbird in the Twin Cities one December. Feeders did not lure these birds out of their normal ranges. It’s impossible to know how many out-of-range hummingbirds just quietly die with no one to notice. When my backyard Rufous Hummingbird took off at mid-morning on December 3rd, I was petrified that she wouldn’t encounter another friendly feeding station no matter what direction she took. Ever since she showed up, I’ve tried to keep at least one feeder available and fresh throughout October and November. Even if I never look at the window, and never know if any hummingbirds came, I feel good knowing if one does pass through, it won’t leave my yard hungry. Mr. Borkowski: Great Teacher or The Greatest Teacher? Roger Tory Peterson often spoke of his seventh grade teacher, crediting Blanche Hornbeck with sparking his lifelong fascination with birds. I can’t say that anyone sparked my interest in and love for birds—I seem to have been born with that. And I was lucky enough to have had several wonderful teachers in elementary and high school. But one teacher made such a huge difference in my life, at such a critical juncture, that I honestly don’t know where I’d be today, or who I’d be, if not for him: my fifth grade teacher, Arthur Borkowski. A lot of people believe that our parents are the most important influences on who and what we become as adults, whether due to their genetic contribution or the environment they place us in. This is such a truism that we don’t often think about the exceptions, but Mr. Borkowski was the exceptional teacher I needed to break free from the influence of the chaotic, abusive home I came from. He was 24 years old and this was his first year of teaching. He’d only had two years of college—the minimum requirement to teach in a Catholic elementary school in 1961—and was attending Northwestern University at night to complete his degree, yet despite his inexperience and the demands of teaching 55 student all day and then going to his own demanding college classes, he infused every subject with joy and energy. He was over 6’3” tall, but when he talked one on one to any of us, he’d drop down on one knee to look us straight in the eye. I don’t think any of us ever thought he had favorites—he just magically made every one of us feel special and valued. One day Mr. Borkowski announced that we were going to dissect earthworms in class. I was thrilled about the prospect: I had raised earthworms from the time I was a preschooler, and found them fascinating. After every rainstorm I’d go out and rescue ones off the sidewalk. If they were fine, I’d set them in the grass, but if they’d been partly squished but were still squirming, I’d tenderly place them in a leaky old dishpan filled with loose soil with my other earthworm pets. I knew that some survived, but never knew how to predict this, and didn’t know how to help the ones that ended up dying. I thought dissecting might reveal the “inside story” of worms—the secrets that would help me save more. Mr. Borkowski told us that we’d each need to find a worm—the bigger, the better—for dissecting. I knew I couldn’t bring in any of my own personal earthworms, but figured I could dig one up somewhere. Yet every time I picked up a worm in my hand and felt it wriggle, I knew it wanted to stay alive. I didn’t know how to pick out one that wouldn’t mind being cut up. Finally, I went to Mr. Borkowski and poured out the whole story. He looked at me with his gentle, serious look, and said, “You know what I’ll do, Laura? I’ll find you a worm that’s already dead.” Imagine the level of empathy and warmth required to respond like that on the spur of the moment, without even a trace of laughter in his eyes! 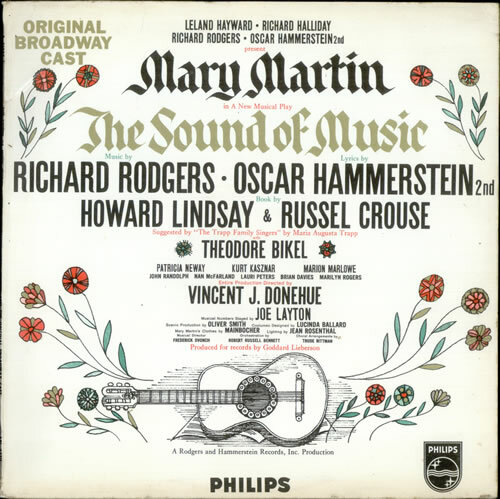 The play, The Sound of Music had been produced on Broadway the year before. Mr. Borkowski brought in the Broadway soundtrack with Mary Martin and Theodore Bikel and we learned several of the songs. Every year on my birthday my Grandpa sent me $5. Usually my mother kept it, but that year I persuaded her to let me keep $3.50 to buy the record, pointing out with more than a little sassiness that the record cost no more than one of her bottles of Southern Comfort. (I got a beating for that, but won the point.) I listened to the record so often that even when the record player was off, I could still hear the songs in my head, overpowering the family strife. 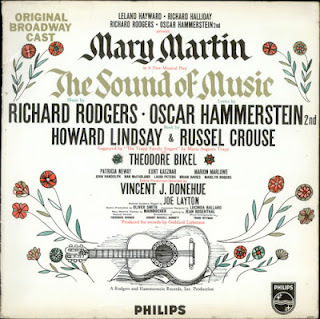 When The Sound of Music was produced at the Shubert Theater with Florence Henderson playing Maria, Mr. Borkowski arranged an optional evening field trip. My mother said we just couldn’t afford it. I did my best to hide my disappointment in the weeks before the big event. I was very shy and scared of being noticed anyway, and it was easy to hide in a class of 55. But a few days before the field trip, Mr. Borkowski asked me to stay after school for a moment. After everyone left, he told me that the tickets had arrived and there was an “extra” one. Would I like to go? He was the only teacher I can remember, in elementary or high school, who actually discussed racism, telling us how evil it was, and how he envisioned a world in which people judged each other by the content of their character and not the color of their skin, though he wasn’t prescient enough to use Martin Luther King’s words to say it, this being 1961–62. And he had no tolerance for bullying, period. I can’t remember him raising his voice, but he exuded such warmth and fun that no one wanted to disappoint him. He taught us songs and poems and put such a creative spin on everything that bright colors seeped into my dull gray world. That was the year that I skipped to school every day. I was still on such a high after a day in Mr. Borkowski’s room that I’d skip all the way home, too. No matter how much yelling and crying went on in the background once I got there, my head was still filled with songs and interesting thoughts. People say it’s a gift to be able to change the lemons life gives us to lemonade. But it’s impossible to make lemonade without sugar, and for a whole year, Mr. Borkowski brought enough genuine sweetness into my life to affect my outlook from then on. I’m sure I’d have discovered chickadees eventually, but I don’t know if I’d have appreciated their joie de vivre without that year in Mr. Borkowski’s class. Roger Tory Peterson’s teacher helped him discover birds. Mr. Borkowski helped me discover joy. This book is dedicated to Arthur Borkowski, my fifth grade teacher, who taught me how to open my eyes without closing my heart. I’d never been able to find him, and felt sad that I’d never had a chance to tell him how very much he’d changed my life. But at the reunion, one of the organizers said that Mr. B was very much alive and well in Florida, though he had sent his regrets that he couldn’t attend. She promised to send me the contact information, but I got impatient and googled him, got his snail mail address, and wrote him a letter. And a few days later, there it was—an email from my dear Mr. Borkowski, a full 50 years after he was my teacher. We’ve corresponded back and forth a bit, and talked on the phone once. He spent his entire 40-year career teaching, mostly high school drama, television, and advanced English. He also wrote and directed plays in Chicago and then, after he retired, down in Florida. I’m headed to Florida in January to be a speaker and field trip leader for the Space Coast Birding and Nature Festival, and after making this connection I decided I’ll leave a couple of days early so Mr. Borkowski and I can spend some time together—we decided to make a day of it at Disney World. 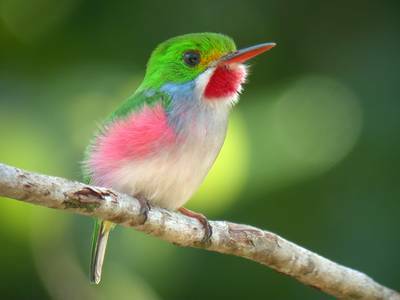 I’m as excited about this as I’d be anticipating seeing my most wanted bird in the world, the Cuban Tody. Mr. Borkowski isn’t a birder, but he notices the birds at his place, including eagles, ospreys, herons, ibises, Mourning Doves, and mockingbirds. And he notices and reacts to the same kinds of things I do. In 2010 he wrote a lovely poem titled, “The Seagull,” which he kindly gave me permission to read on the air: It is available on my radio program calendar, and via my podcast.